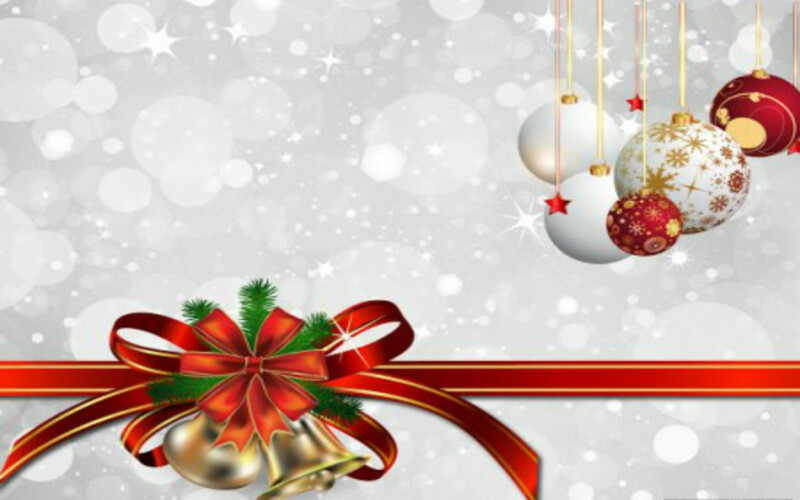 Welcome to the December issue of the United States Harness Racing Alumni Association's newsletter. In this issue Monica Bencal shares her insight with the harness racing industry with her article Challenging the Status Quo. I offer some solutions on saving our sport and inform the harness racing industry of what the thoroughbreds are doing to save and promote their sport. 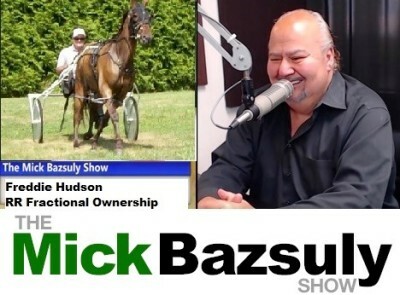 Charles Martino offers a comparison of harness racing with the Mercedes take over of Chrysler, Oscar Belliveau continues with his story of becoming a groom and Susan Arrington offers an up-date on the status of the SAFE Act. We have also added some comments from our fans of what they think needs to be done to better improve our sport. 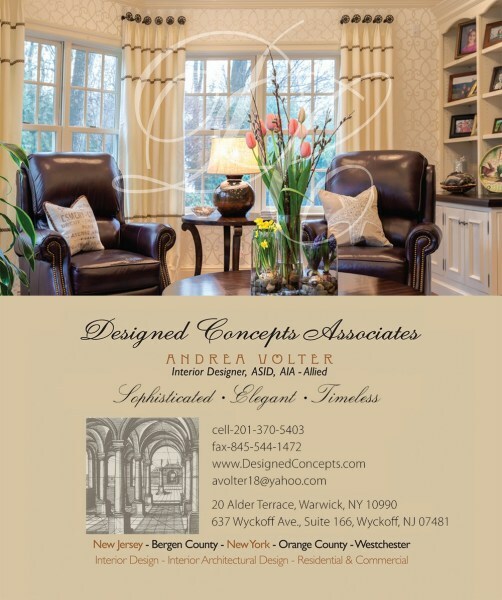 Our newsletter continues to be well received and we continue to receive many complements. It is published on the first of each month. Our monthly readership is over 3,000 readers per month and continues to grow. 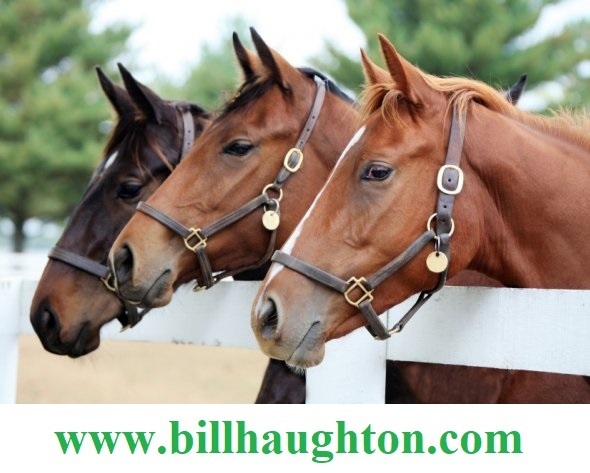 We cover horse and human interest stories and we focus on the issues that are of concern to all involved in the thoroughbred and harness racing industries. The mission of the USHRAA is the enhanced promotion of the harness racing sport, the passage of legislation that benefits the sport, the promotion of equine assisted therapy for our veterans and the promotion of best practices in the aftercare of our horses. If you’ve been following along for the past couple of months, I have been exploring the idea of identifying the problems in the harness racing industry, with the hope that once these problems were identified, the industry’s stakeholders would step up and institute the changes the harness racing industry so desperately needs. 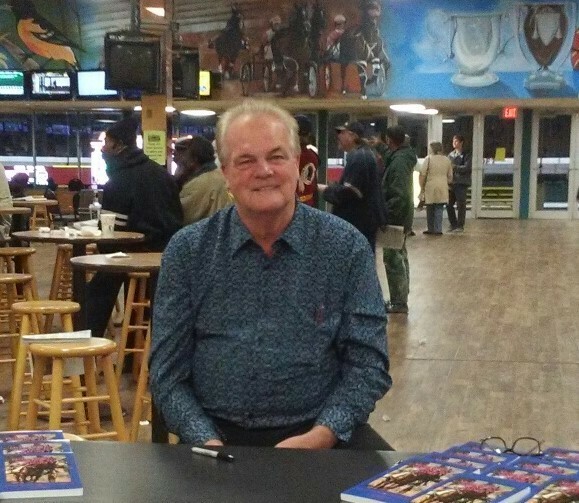 It was my belief when I started writing this series that only by identifying the problems, coming up with workable solutions, and then implementing those solutions could we change harness racing for the better. In my first article I just listed the problems that I thought needed to be addressed. After talking to numerous people, I came up with 9 separate areas where, I felt, we needed to do better. Outside contributors have since suggested that there may actually be 10 or 11 areas in harness racing that need improving, but for now the actual number is irrelevant. Last month though, I highlighted what I feel is our biggest problem, and that, in my opinion, is that we, as an industry, cling to outdated attitudes and beliefs and ways of doing things. I still believe that it is our attitudes and beliefs that keeps us doing the same things that were done 50 years ago. The problem with that type of thinking is that, the world harness racing exists in today, is a markedly different environment from the world it existed in 50 years ago. What we used to do, and what we are still doing, no longer works! We as an industry have stagnated, or some would say, spiraled downward. What I think is the worst thing about what has, or has not gone on in at least the last 5 decades of harness racing is that no one in our industry seems to have a clear vision about where the industry needs to be in the future. And since we really do not know where we are going, or how we should get there, we all just keep doing the same thing over and over and over again. Then, when someone points that harness racing is floundering, fingers automatically start pointing to the supposed “villains”. I have had many people offer up those who they view as “at fault” for our current state of affairs. I have heard that the “drug-trainers” are at fault. Another person suggested that our demise started when trainers with big-money backing starting forming ownership groups that froze out the “little guy”. One person offered up the racino and casino owners as the persons or entity responsible for our current state of despair. And of the course, the OTB’s and state legislators always get their chance in the spotlight when we start to play pin the tail on the villain. The problem with this blame-game is that it really doesn’t get to the heart of the problem. Yes, all of these things happened, but why wasn’t our industry agile enough to adapt to the changing environment? That, in my opinion is the real question. I think the answer to that question is, that we have allowed outdated beliefs and attitudes to permeate throughout our industry. That is are #1 problem, but in addition to that problem, harness racing does not have a leadership organization that is agile enough to help us transition and adapt to a constantly changing environment. In my first article I wrote: “Our one real organization, the USTA is not set up to govern the industry." I still believe that. To understand why I believe this is the case, you need to go back 86 years ago to 1932 when the USTA began. In 1932 the USTA was formed the same way that most other organizations are formed: A person or group decides that they want to organize something. This person or group then decides how that organization is supposed to be structured and decides on a name. It also lays out the goals for the organization (a mission statement) and the rules the organization will operate by (the by-laws). In the case of the USTA, four (4) men got together in the State of Ohio and decided that harness racing needed to organized so they form the United Trotting Association (UTA). They then decided what this organization would look like (a corporation). After that, they laid out their plan or “mission statement”. After they finished doing all of this, these four (4) men signed their names to a document that laid out their plan to organize harness racing. In order for them to be “recognized”, these four men then filed this document with the State of Ohio. Harness Racing now had a governing body. This organization remained intact until six (6) years later and then, in 1938 radical changes were made to the United Trotting Association’s by-laws. One of the most significant changes was to its name. The United Trotting Association was now going to be know as the United States Trotting Association or USTA, and with the addition of the word “States”, this new organization overseeing harness racing now declared itself the governing body throughout the entire United States. The name of the organization was not the only thing that changed back on December 23, 1938. Several other notable changes were made to the original mission statement. Not only was the mission statement expanded from 4 to 23 points, the priorities of the organization seem to have changed. To see what I mean, look back at the 1st point in the original mission. You will see that the organization states that its first priority was to promote, secure and enforce uniformity in racing rules and conditions. In the new mission statement, the 1st point is “the improvement of the breed of trotting and pacing horses”. The organization reinforces it commitment to this new priority by listing the 2nd point in its mission statement as “the establishment of rules regulating standards and the registration of such horses thereunder”. As a way of reinforcing the USTA’s new mission again, the 4th point in the new version of the USTA bylaws state that it is now dedicated to “the investigation and ascertainment and registration of the pedigrees of such horses”. With these three (3) changes to the mission statement, the USTA has now changed the organization’s priorities, focus, and future direction. Clearly breeding, pedigrees, and the registering of those pedigrees were going to be its main focal point. This does not mean that this new organization did not recognize the need for continued oversight. I did. In fact, the remaining points in the new by-laws actually expanded their powers in this area. 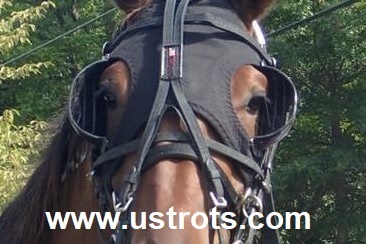 The USTA decreed that it would now oversee “the regulation and government of the conduct of the sport of harness racing” and it also would be responsible for “the establishment of rules for the conduct thereof, not inconsistent with the laws of the various States.” This new USTA also became the governing body for all race meets by stating that it would be charge of “the sanctioning of the holding of exhibitions of such horses and meeting for the racing thereof.” Additionally, the licensing of judges, the licensing of owners, and the licensing of the drivers also became their responsibility. Since you cannot set out rules without setting out the consequences should someone chooses not to follow those rules, the USTA’s newly revised by-laws include a provision for “enforcement of the rules” and provided for “the fixing of penalties, fines, and the suspension or expulsion from membership”. All of these changes became official when the President of the USTA, Geo. W. Rittenour, and the Secretary of the USTA signed their names and affixed the corporate seal to the amendments on Wednesday, December 28, 1938. It could be argued that all of these changes to the USTA’s by-laws were a good thing. The membership of the USTA had clearly identified their focus going forward. They also seem to expand their powers so that the organization could regulate itself. The new organization even increased the number of people tasked with the responsibility of carrying out the USTA’s newly defined purpose. So, if all of these changes were positive, what has happened? To answer that question, you have to recognize two things: First, the world was a very different place in 1939; and secondly, the USTA would not be able to enforce a rule that was “inconsistent with the laws of the various States.” These eight words recognized that individual states would be the ultimate authority when is came to the administration and regulation of harness racing. Even with the USTA recognizing that various state governments had the ultimate power to govern harness racing, between 1940 and 1960 all seemed relatively well in the sport. 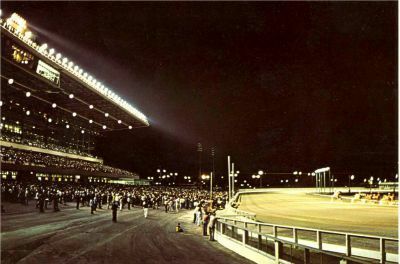 Harness Racing expanded its base and increased its popularity. As Bill Shanklin said in an article in 2009, “In its halcyon days from about 1900 to 1960, horse racing was a leading spectator sport in the United States, following only Major League Baseball in total attendance. Sports fans knew of and many followed the exploits of equine stars like Seabiscuit and War Admiral, Citation and Stymie, Nashua and Swaps, and Greyhound and Adios. 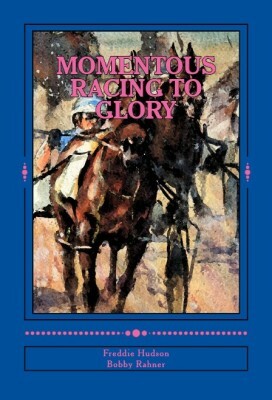 Some of the best sportswriters covered horse racing and their prose was often elegant.” He then went on to say however that now, except for premier events, today the on-track crowds are sparse and the television audiences are small (Harness Racing Business; p 1, March 21, 2009). Of course, Mr. Shanklin outlined numerous reasons for the decline, and not surprisingly, most of these are well-known to almost everyone today. According the Mr. Shanklin, competition from state-sponsored gambling, like OTB and lotteries, certainly played a part in eroding our base, but he also pointed that our inability to embrace the changes in technology early on, like television and the internet, hurt racing. He knew what was happening 10 years ago when he said, “Racing cannot undo any of these societal transformations to bring back “the good old days”. The most brilliant strategist cannot reverse the irreversible. Even though this is a very gloomy picture of our industry, according to him there is a light at the end of this tunnel. He emphasized not going back to the “good old days” does not mean our sport needs to fade into oblivion. He believed 10 years ago that racing could become a “viable niche sport”, but he also stressed that for the sport to survive, we need to understand the world we live in and re-invent the way we do business. I agree. As I have said before, major changes need to occur in our industry. Even though 10 years ago Mr. Shanklin believed major changes would be necessary to save our sport, and I believe that same thing today, that does not mean that EVERYTHING has to change. Obviously, there are some things that won’t change. There will still need to be horses, owners, trainers, drivers, and racetracks in the future. Breeders and sales companies will certainly exist in any future version of harness racing as will grooms, blacksmiths, and vets. We as an industry will also have to contend with the ever-present state governments wherever harness racing exists. What I think we need to understand is that each of groups plays an important part in our industry but, each and every one of these entities has a different agenda and plays by a different set of rules. Most importantly, each of them is trying to achieve a result that helps them prosper. What I think is key to us re-inventing harness racing’s future is to have an organization at the top that not only has the ability to envision what we need to do, but also has the ability to bring the various segments together so that the enormous change that is needed, can be accomplished. Unfortunately, the USTA’s corporate structure, as it exists today, does not lend itself to carrying out these very enormous and very necessary changes. An Organization Structure allows an entity to “get things done” but, as I said in my very first piece in this series “Our one real organization is not set up to govern the industry.” I believe it is time that the leaders within the USTA step up and once again re-invent the organization. They did it in 1938 and I think there are ways that they could do this again. I think the first thing the USTA leadership needs to acknowledge is that its corporate structure is just way too cumbersome. 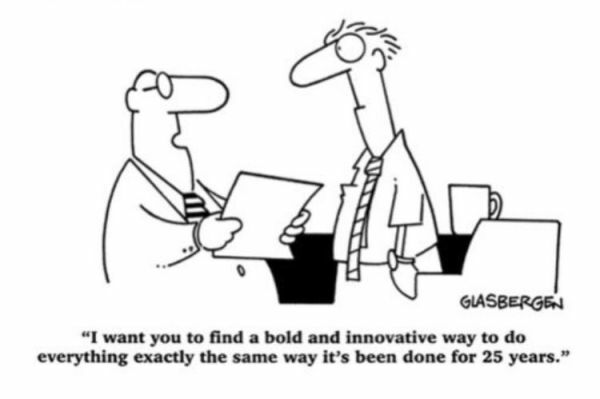 Having 59 people as Directors at six (6) different management levels does not work! There are just too many people. There will never be a consensus among this large of a group about the direction the industry should go in. This number needs to be drastically reduced. We also need younger leaders with innovative ideas to head up the organization. What I think we are lacking is a fresh perspective on how our industry should function in the future. We also need to pay this leadership so that we can attract the best and the brightest candidates. Having the position of President as an unpaid position ensures that only a limited number of people can fill that position. We have to stop having the only organization tasked with leadership stay as “the good old boy network” it has become. Most importantly, I believe we have to give the 16,000 people that are the base members of this organization a real voice. This means that people that have a membership card with the USTA need to be able to vote on the issues that affect their lives and livelihoods. And of course, if you are giving people in an organization real power, there needs to be accountability. Some people have said that the changes I am suggesting for harness racing cannot be done. I refuse to believe that. Maybe I am being naïve, but I think there are lots of good, smart people out there that can help outline where the industry needs to be in the future, and come up with the steps we need to implement so that change can occur. I think the next part, shaping an entity that can carry out this task of enormous proportions is where the difficulties lie. We need an organization that is going to pull all of the various segments of industry together, while allowing each of its segments to prosper. One segment cannot be allowed to prosper to the detriment of another, and it should not take 2 years for a simple rule change regarding head numbers and their use to occur. The overriding consideration when making changes though has to be “Is what we are doing good for the industry as a whole”. I think it is time we realize that we either need to change the structure of the only governing body inside harness racing (the USTA) or accept the fact that the USTA is only a record-keeping vehicle and start creating a new organization that can actually govern harness racing effectively. The harness racing industry needs a leadership organization that has a vision and a plan, and is truly representative of the various stakeholders in the industry. Without doing this, Mr. Shanklin may be correct. We may be heading for oblivion. This article and the opinions expressed within are solely the opinions of the author. This article is the third in a series of articles exploring the changes that would be necessary to reverse the downward trend seen in the harness racing industry. 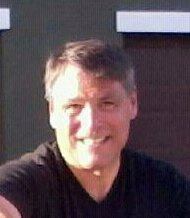 Each month the author will address one issue that was listed in the first article of the series. Please feel free to express your opinion on this or any topic presented. 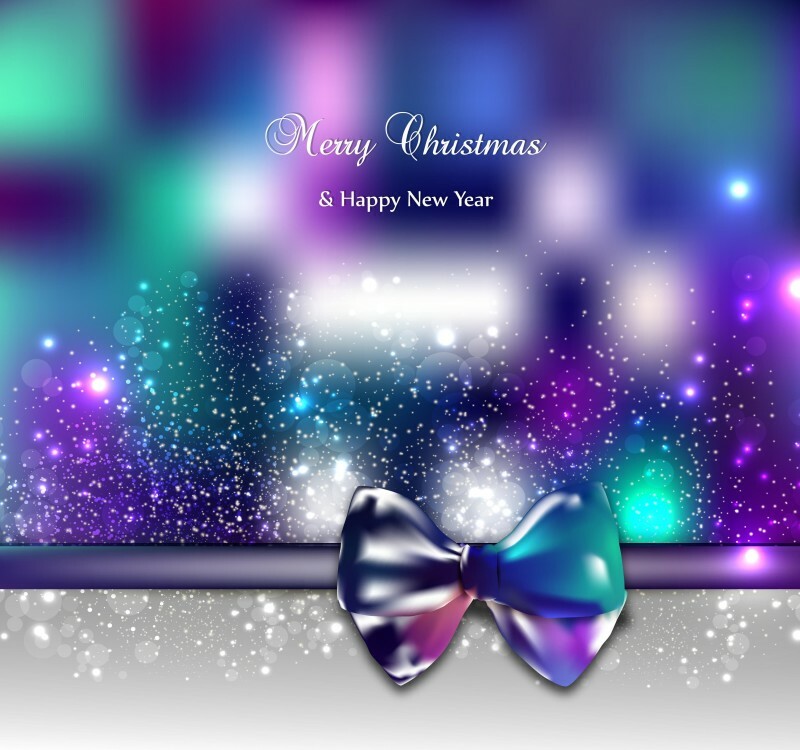 Any questions or replies to the article may be addressed to the author and sent to [email protected] or in the comment section below the article in this month’s newsletter. 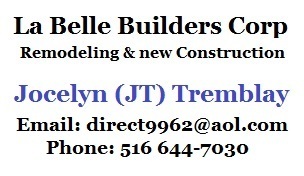 All responses will be acknowledged and printed provided that a name and contact information is provided. The next article will examine the issue of Leadership in the Harness Racing Community. Thank you and see you next month! The world of harness racing is dying a slow death and we as an industry must step up to the plate and reinvent our sport. Currently the only people that seem to like our sport are the current participants. While we are racing for some great purses our grandstands are totally empty. The sport needs a complete makeover and a new look. – we are like a bad restaurant serving bad food with a terrible chef who keeps putting out the same menu and then wonders why no one shows up. Just look at the grandstands. On the good side of things, all of the hard work has been done for us by the thoroughbreds. They have paid for the surveys, studies, and have implemented plans to save and promote their sport; some of their initiatives have been successful and some have not. I will now share some of my ideas and some of what the thoroughbreds have done and plan to do. But! Unlike them our product, the race, is broken and needs to be fixed. I hear many people say that all we have to do is market the sport. Unfortunately, that is not the case - we need to make our races/product more appealing to the general public. Our products are the race itself, the broadcast, the on-track experience and the atmosphere. Regarding the race, we need to offer more selections. We need more of an assortment of races at various distance – I strongly suggest that we do shorter races such as a three eights of a mile race on half mile tracks and then races varying in distances of a quarter of a mile up to two mile races. A five- eights of a mile race on a five-eights mile track and maybe if possible add some turf races. We also need for zero minutes to post time to mean they are behind the gate. After the product is fixed the drugs need to go, whips need to go, welfare has to be moved front and center, promote event days and charge admissions, change the TV formats (at this point they are all the same), add some entertainment, add fixed odds wagering, more national TV coverage, and promote videos on the many social media sites. The integrity of our sport is paramount. It's never been clearer that we're in desperate need of a uniform system of regulation, proper drug testing, and meaningful penalties that really deter. The eventual passage of the Horse Racing Integrity Act will accomplish all of that. Listed below are some of the things that the Thoroughbreds are doing or plan to do. The Jockey Club has plans to consider track ownerships, meaning when a track is imperiled they would step in as an owner or partner. They are developing a capital improvement grant fund for high definition conversion and track improvements. They identified that the use of standard definition is inhibiting the growth and popularity of their sport. ​They are expanding America's Best Racing into a full-fledged digital media services company. Encouraging potential customers to visit racetracks as one of the most effective methods of developing new fans, they feel that America's Best Racing digital video creation and distribution could engage as many as a million casual fans in one year. Plans are underway to invest more in live racing on national television. Television coverage of their sport is creating new fans and at the same time boosting handle at the host track. They plan to support additional national television programming of top racing. In 2011 they had 20 hours of national television; in 2018 that has increased to over 200 hours and with the new contract with FOX Sports in 2019, they will have over 700 hours of National TV coverage. Also underway are plans to fund a permanent office of race day scheduling. They are addressing the problem of overlapping of races. They feel the creation of this office with a strict adherence to a schedule by participating racetracks would solve that problem. They are advocating for tracks to experiment with decreased Win/Place/Show takeout rates. They have identified this as a hot button issue with their fans, and more than a third of the fans cite it as a major concern. They are looking to partner to fund a U.S. pilot of single-pool betting. Since 2011, they have been looking at single-pool wagering, which would potentially end late odds changes and facilitate new bet types. They are working with several industry stakeholders and plan to introduce a pilot for single-pool wagering in the North American market very soon. They are looking to promote the cross-marketing of sports betting and horse race betting. Many bettors who will be trying sports betting for the first time may be inclined to try horse racing as well. This they feel is a golden opportunity to reach millions of fans who are already pre-disposed to wagering. Also they plan to lobby for a horse racing fixed-odds betting pilot. Virtually all sports bets are placed with fixed odds, and customers are accustomed to it. Bettors want to know the payoff they will win. Horse racing should be able to offer fixed odds like everyone else. These are some of the ideas that the thoroughbreds believe could move their sport forward. Now, let's take a look at racing's public perception. Among the general public, there have been minimal improvements in the perception of racing since 2011. Today, 22% of the general public has a positive impression of the sport, and that's up from 19% in 2011. 45% of fans would now recommend racing to others, and that's versus 41% in 2011. ​But there remains a gap between racing in other sports for which about 70% of fans would recommend their sport to others. One of the big issues in racing's public perception continues to be on the matter of animal welfare. For example, the McKinsey Report found over 50% of casual fans would stop betting if they knew horses were mistreated, and new fans specifically objected to the use of the whip. In the survey of the entire fan base, the top concern was the treatment of horses after retirement; followed by day-to-day treatment of horses in training; and, third, illegal doping. These results are an important reminder that we need to see racing through the eyes of the general public and continue to act on the legitimate concerns they're raising about animal welfare and racing integrity. Looking at the fan base, there are 16 million Americans who are fans of Thoroughbred racing today, who are about 6% of the entire U.S. adult population. Five million of these fans are casual -- for example, they bet between three and 11 times per year -- and 2.6 million are avid, betting or attending at least once a month. Racing fans are 63 years old on average, which, is in line with PGA TOUR, NASCAR, baseball and some other sports.The average age of a TV sports viewer has been increasing for all sports over the past ten years, and racing is aging at a similar rate to other sports. Looking at the differences between new and core fans, and two things that stood out: New fans go to the track with large groups of friends, 45% of new fans versus just 17% of long-time fans go with large groups. 22% of new fans feel bets are too complex. But 55% of those avid fans enjoyed the complexity and thinking behind handicapping. So a recap of the McKinsey Report's findings on the situation facing Thoroughbred racing in 2018, the handle has stabilized. When they launched their 2011 strategy, the handle had declined 6% per year for the previous five years. Since then, U.S. Thoroughbred handle has been essentially flat. The volume of racing is in slow decline. 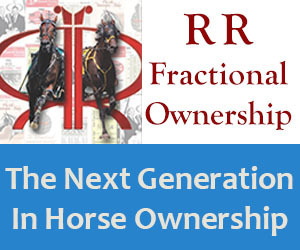 The number of races, starters and owners continues to decline at 3 to 4% per year. The foal crop is declining at about 1% a year. But the best racing is still growing. The top 12 tracks, which they call Tier 1, have grown their handle at 3% per year since 2011, while handle at the Tier 2 and Tier 3 tracks declined at 3% a year. Handle per race in allowance races, maiden races, and stakes races is growing, while handle per race for claiming races is in decline. Bettors are switching rapidly to digital. Advance-deposit wagering is now 33% of handle, double what it was in 2011. Computer-assisted wagering has also doubled as well. Progress is being made on the public’s perception: gains have been made in terms of the general public's perception of racing. They are attracting new fans. The new fans see a day at the races as more of a social experience than core fans do. While the perception of our sport may have improved slightly, we can do more. 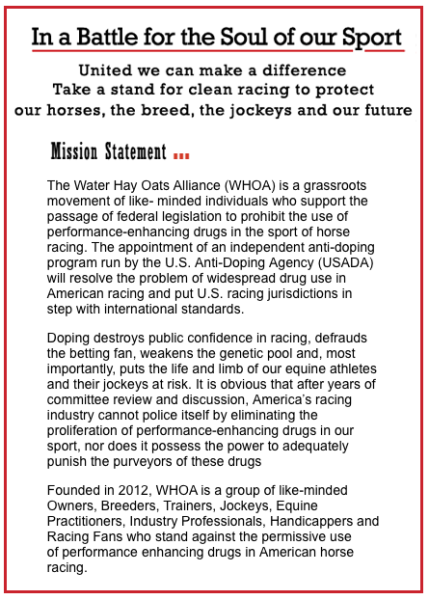 Specifically, there is an unwavering commitment to the legislation before Congress that, when enacted, will establish a comprehensive medication control program operated by the United States Anti-Doping Agency and the racing industry. The Horse Racing Integrity Act has 130 co-sponsors in the House of Representatives, and a Senate companion bill is expected to be introduced. There was a hearing on this bill in June. It was very strange to hear from the opponents of the bill, that everything is fine and there is no problem with the rules and regulations in place across 30-plus states. Well, we have a lot to be proud of in our sport, but we also have some fundamental things to fix, and our customers are telling us that. Many polls and other statistics all tell the same story. None suggest we live in a perfect world. Many organizations and individuals in this industry believe that the current state-based system of medication control must change. We lack uniformity in rules, drug testing, and penalties. It is believed it is entirely appropriate for the federal government to police racing. First, because ours is an interstate business, and, second, because the states have clearly demonstrated their inability to do it. Passing federal legislation is never an easy task, but there is a strong group that is determined and well financed to make it happen. We must have a foundation that's built on integrity. The New York Racing Association, Inc. (NYRA) and FOX Sports has announced a long-term television programming deal that will make FOX Sports the year-round national television home for NYRA racing from Saratoga Race Course and Belmont Park. 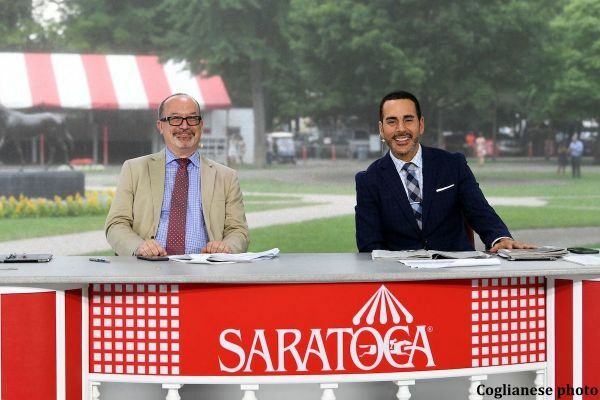 Reflecting the continued growth and success of NYRA's “Live” shows, FOX Sports increased its coverage of Saratoga Live in both 2017 and 2018, while adding select Belmont Park Live telecasts. Earlier this year, NYRA and FOX launched FOX Sports Saturday At The Races, which presented key Triple Crown prep races from a number of tracks around the country. The NYRA/FOX Sports shows will be presented by The Jockey Club's multimedia fan-development and awareness-building platform, America's Best Racing, created in 2012 to develop new fans by increasing the profile and visibility of North America's top thoroughbred racing events. “The Jockey Club's support of this expansion of horse racing on television is consistent with the recommendations from the most recent McKinsey & Company report to grow awareness in the sport. We are excited to work with NYRA and FOX Sports to promote americasbestracing.net and develop video features that will attract a new generation of fans to horse racing,” said James L. Gagliano, President and Chief Operating Officer of The Jockey Club. “Considering NYRA's role as a driver of tourism and economic engine for New York State, we are particularly pleased to be able to provide even more viewers across the country with a greater appreciation for the energy and excitement found at NYRA's historic venues,” Kay added. Along with Saratoga Live, NYRA's TV portfolio includes Belmont Park Live during the fall and spring and Aqueduct Live during the winter months. MSG Networks will continue to be NYRA's regional home in 2019 and beyond, presenting tri-state viewers with more than 225 hours of coverage throughout the year. In 2017, NYRA added new markets in California via agreements with FOX Sports Prime Ticket and FOX Sports San Diego. In addition, NBC and NBCSN will continue to broadcast the Belmont Stakes Racing Festival as well as other races. 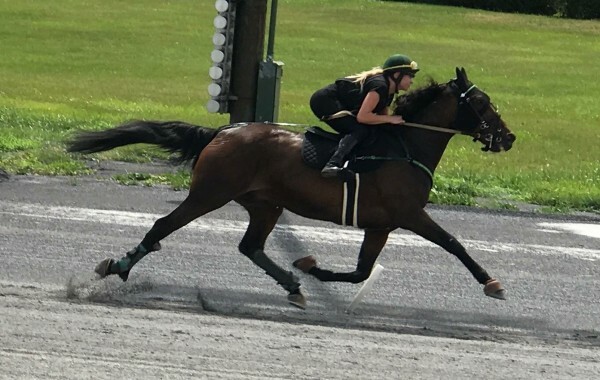 Fans of racing under saddle (RUS) have taken notice of ‘new’ rider Sietske Dijkhof and her horse No Recess which have raced on the RUS MidAtlantic and RUS New York circuits this past season as the team went a perfect three for three this year including a sparkling 1:59 mark at Meadowlands Racing and Gaming. What also drew the attention of fans was the two victories No Recess had ‘in sulky’ during the period the horse was racing under saddle, earning two of the three sulky victories for the year as of the time this article was written. We talked to Sietske and her boyfriend, trainer Kyle Spagnola about No Recess and the improvement seen in No Recess while doing double duty. First, Dijkhof is no new rider. Born and raised in the Netherlands, Sietske has been around standardbreds from birth as her parents used to be trainers. When her parents left the game, she continued working in the industry. Loving riding, the connection with the horse, as well as the speed involved in monté (the European term for RUS) racing she became a rider back home. So, while it may appear a new rider has appeared in the RUS universe, it is really a reconnection of old friends. How did Dijkhof and Spagnol a make the decision to use No Recess? After Spagnola Racing LLC acquired the trotter, it was noticed the nine-year-old altered son of Rich Boy-Riann Photo (SJ’s Photo) had raced back in 2016 under saddle, learning his lessons from rider Michelle Crawford and finishing third in his only purse start at Ocean Downs behind RUS favorites Mr Protab and Highway Marcus. After a couple of rides, it was decided to give No Recess another go under saddle, especially since he is not a horse inclined to make breaks. After two RUS qualifiers between pari-mutuel starts, it was time to make their first purse start at Batavia Downs Gaming where No Recess won by a length. Subsequent victories at Saratoga (four lengths) and the Meadowlands (ten lengths) proved their faith in the horse well deserved. “Yes, I do believe it helps him mentally”, says Dijkhof when asked if racing No Recess under saddle has helped his sulky career,” he seems to enjoy the races under saddle and doing something else makes the nine-year-old gelding happier”. As for training the horse to race under saddle, surprisingly the trotter doesn’t train for the races. Being a veteran, No Recess knows the game. Racing every week, one way of another, keeps the horse sharp. Skipping the Rosecroft race due to the distance the horse would have to travel, Sietske wished there were more RUS races available either in a circuit or as overnight events. “I wish there were more races right now, so he could do both and keep his mind ‘fresh’. There has been some discussion as to whether RUS should be expanded to allow pacers to race under saddle. As of now, there has been no movement on the contentious issue but as far as this rider is concerned, she takes the attitude of ‘bring it on’, the more races under saddle the better. Of course, racing in non-betting races is one thing, but what about having RUS on the wagering card. 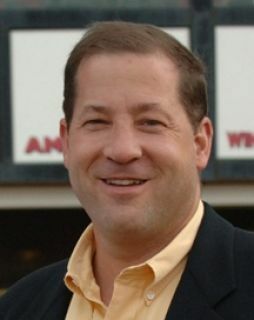 We asked Kyle Spagnola whether he would race horses in his stable in RUS events if there was wagering and he has no problem with entering horses in under saddle races, but he indicated it would be hard to persuade owners to enter horses in non-wagering events at the current purse levels. “Owners want to make money and win races. 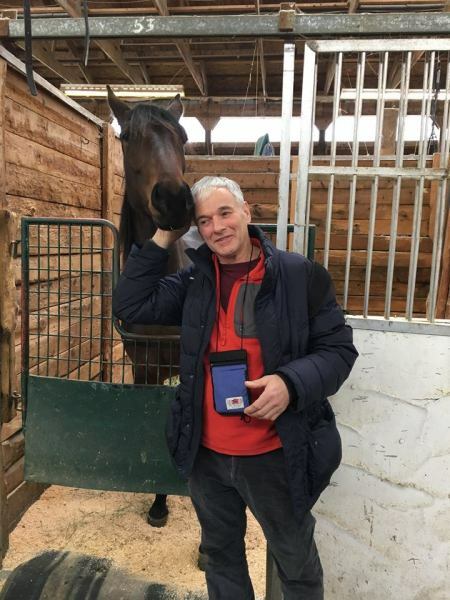 At the level [purses] it is right now, people are not going to invest in horses for RUS when they can race for much more money in the bike”, Spagnola said. Getting trainers to enter horses in RUS with the current purse structure is difficult as there are more profitable races to compete in. But if purses increase he feels trainers will support RUS. No doubt the caliber of horses entering would be higher. So, what is more difficult, racing in the bike or under a rider? Kyle’s take? “I think it’s easier if they are gaited well enough to do it [RUS] because they don’t have to pull the bike and they don’t have to ride as wide”. Since racing under saddle appears to be easier, participating in RUS is a great way to extend a horse’s career, possibly helping with future horse shortages. 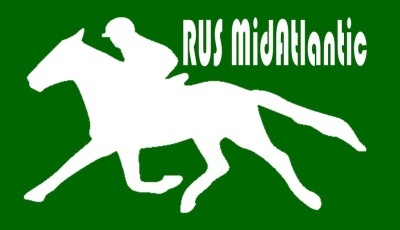 Yes, groups like RUS MidAtlantic have challenges to move on to the next level to get wagering on RUS races and promote interest in standardbreds and harness racing. Perhaps it is best said by Spagnola. “Overseas there are a lot of racing under saddle events and it seems like people are excited about it”. For some reason it seemed hard for me when trying to come up with something to write about this month. One reason is I have been very critical of where we are today and I just didn’t want it to seem that all I do is bash the business. After all this business has been a passion for me for over 35 years. I am very lucky because by I have some Great friends at Crystal Brook Farms in Paul Jessop and Laurie Molnar who let me indulge myself in the game while still maintaining a career out in the real world. My real Job is managing a Car dealership, it was the path I took when I left racing with the Birth of my Daughter. At the time I felt I needed something more consistent then racing had to offer to raise my child. Because I was somewhat good at it I was able to do both sell cars and stay in the horse business. It’s being in the car business that I am very aware of all the circumstances of the Merger of Daimler/Chrysler. I made this comparison because in a way we where the stronger in this Merger between Slots and Racing after all we had the venues and the key to them getting their foot in the door. But like with Chrysler we also lost control. From the design of the Buildings we can see who was in control as most places quarantine the slot players away from the racing action. Then there is post times, a game that made it’s fame by racing at night and on weekends now has a majority of tracks racing weekday and at odd hours. Then there is the fact that they hire and control the advertising and the racing staff, thus holding all control . Finally like with Chrysler who had larger sales before the merger with Daimler, we to had better handle before slots . That leaves us with a huge question, when? When will we be like Chrysler was to Daimler, disposable? When will the corporate powers move money around and make profits look as though they are slipping as has happened at Dover Downs? Or when will sales start to take place were the overhead now becomes instantly higher because of cost and being leverage, like what may happen with the sales of Yonkers to MGM. Chrysler got lucky, it somehow ended up in the hands of a real pro. A person that had a vision, he put things into motion that rebuilt a car company that everyone else wrote off, doing what most thought would be impossible. We may not be so lucky, it’s because of that we need to think about what’s next. We must understand that 35 years ago all the tracks were owned by people who wanted to be in the racehorse business, while today they are owned by people who want to be in the casino business. If we fail to be pro active we will be relying on luck. If we can’t fix the problems now that we have money how will we ever do it when the money ends? Voltaire said “No problem can withstand the assault of sustained thinking. We must start thinking so we can control our future. told the man that I wanted to get out. So, he stopped the car, and I walked out into the field and took some apples from the tree. There were also some old blueberries, although they were past their prime, there were good enough to eat. I felt a quite depressed at this point in time, but I knew that I had to keep going. After eating as much as I could, but still feeling hungry, I resumed my journey. After a time, I got a ride from a young couple from Quebec City. It was in the early evening and it was getting dark. I felt very lucky since they were going to my destination. We drove and we began a conversation, but they spoke Quebec French, which was quite different than my Acadian French. Acadian French is what was spoken in the eastern Canadian provinces of New Brunswick, and Nova Scotia and two some degree on Prince Edward Island. As we drove along the road, it was getting quite late , I would think around 9:30 or so and I was very tired, and the young man kept insisting that I speak his kind of French, which I just couldn't do. In retrospect, I think that the state of mind was affected by the lack of good food, so I wasn’t communicating very well. Well, he got angry at me, and stopped the car in the middle of nowhere. It was a road, surrounded by trees and no lights whatsoever, miles from nowheres. He told me to get out! I looked at him and then at her, with a feeling of utter disbelief, and exited the car! I couldn’t imagine how terribly inhuman these people were. In time, I came to understand that humanity can be cruel, to say the least. That my dear friends was the absolute low point of my voyage! As I began to walk, I could feel a despair coming over me, but then again, my inner self knew that I would be alright! Imagine yourself, in the middle of nowhere, late at night, hungry and not knowing what would happen next! But my spirit is strong and it picked me up, as it always did and still does to this day. Anyway, after walking for a time, a car finally came along and stopped. I was a bit leery after the last encounter, but I got in. There were few cars traveling at that time of night. The driver was a man in his 50’s and he proceeded to ask me where I was going and so forth, and I gave him the story about losing my money and luggage, and that I was going to Quebec to rejoin my family. I have always been good at telling stories! Anyway we drove for a time and finally we stopped at a restaurant and he invited me in! I guess he saw that I was a bit thin and famished so he told me to order whatever I wanted and I did, as I was famished! I was still feeling a bit leery, but I kept my eyes open ready for anything. Then he talked with the waitress about me and a bit later, the owner of the restaurant came in. They talked together and the owner told me that I could sleep at his house. I was a bit worried, since I didn't know them, but I followed my heart. The curious thing is, that the mind’s. intellect tells us to be afraid, but the heart is the one that knows what is good so I followed my heart. But, when I we got to his house, which was beautiful, he made a bed for me on the sofa, and I laid down and slept peacefully until morning! The maid, yes, he had a maid, woke me up with a wonderful breakfast. 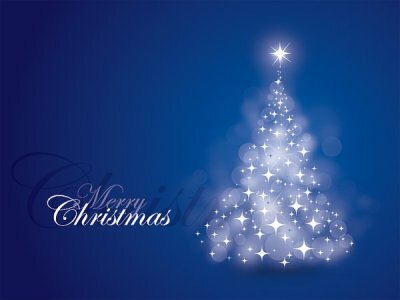 I never saw the man again, but I was very grateful and remain so to this day. At about 8:00 am, I left and resumed hitchhiking. My luck had brought me this far, and I was getting nearer my goal! This next part of my journey was fairly easy. I hit the road and got my first ride quite quickly. It was much easier hitchhiking then than it had been the past two days. There were more cars on the road. . Most of the rides came in quick succession and I had a rather pleasant time, especially when compared to the previous days. I always enjoyed talking with people, and I had polished up my story, so it seemed more plausible. I knew how lucky I had been. I had been on the road for over two days, but as it were, I had had a good dinner, a warm bed and a good breakfast. Not bad for a 15 year old kid with no money in his pocket. I finally arrived in Quebec City in the early afternoon. As you can imagine, to my eyes it was a beautiful place! Since I had been there before, I sort of knew how to get to the racetrack. To be continued. 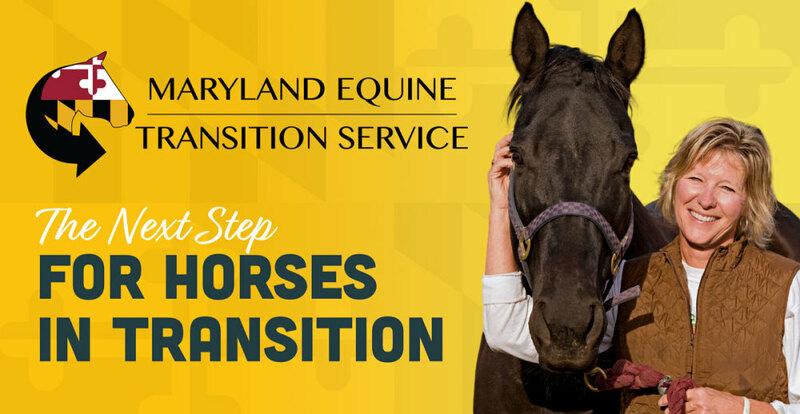 (METS) is a statewide equine safety net initiative of the Maryland Horse Council that provides alternatives for horses needing homes by helping owners identify and select the best transition options. Susan is a former Department of Interior (DOI) Analyst, who worked with Congress on appropriations and later Northrop Grumman consultant in strategic Planning. If you mentally bet the 6-5 favorite as the most likely outcome for the 115th Session of Congress that the House and Senate would not pass the Safeguard American Food Export Act (SAFE), then, of course, you were right, but to no avail. 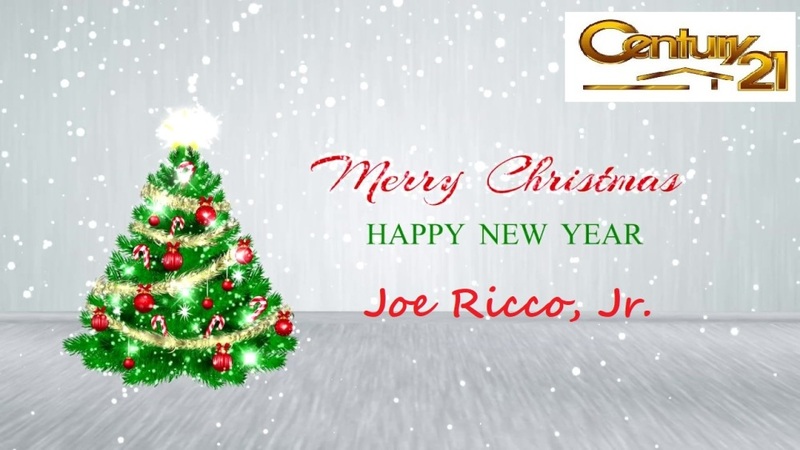 It’s December and we are all out of time to get the bill to the House floor before the close of the session. We had a sufficient number of co-sponsors at 218 House Representatives, but the legislation did not have the blessing of some members and/or the sponsor, Vern Buchanan, R-FL, could not or did not want to proceed this session for a vote. The bill has a somewhat complicated process in the House with referrals to two Committees, the Agriculture Committee/Livestock and Foreign Agriculture Subcommittee and the Energy and Commerce Committee/Health Subcommittee. Neither Committee held a hearing on the bill, which is generally a prerequisite, along with a committee report, for a vote. To my knowledge only two bills involving animal protection managed to survive. One was the Pet and Women Safety Act of 2017 (PAWS), the other, the Dog and Cat Meat Trade Prohibition Act; both were written into the Farm Bill (Agriculture Improvement Act of 2018). The Senate version contains PAWS and the Dog and Cat Meat Trade provision is in both House and Senate versions, with the Farm Bill now still in conference. We unsuccessfully attempted to have a portion of the SAFE Act added to the Farm Bill earlier this year. 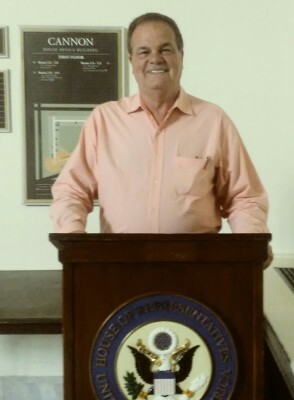 Vern Buchanan and Alcee Hastings, D-FL introduced the Dog and Cat Meat Trade Prohibition Act which passed the House September 12, 2018. 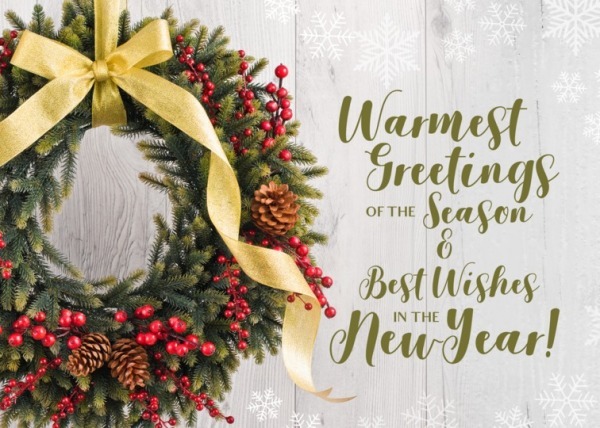 For ideas, recommendations or comments, please reply by the newsletter comment button, email or phone – thank you and have a great holiday season. 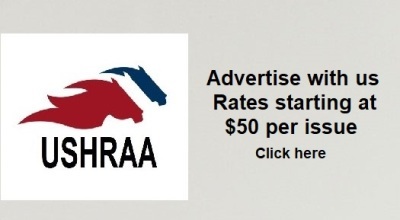 Join WHOA’s 1,700 members that includes 85 Standardbred Members, including Track Owner Jeff Gural, HOF Trainer Jimmy Takter, HOF Member Bob Marks and leading Owner/Breeders Cindy and Steve Stewart, and support the Horseracing Integrity Act. 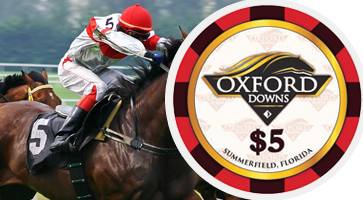 From owners and breeders to trainers and drivers, from industry professionals to racing handicappers – YOU have a stake in the game. 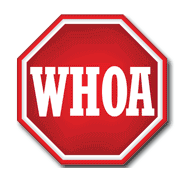 By simply adding your name to the membership roster, you will support WHOA’s national grassroots movement. Visit our website for more information. “For our industry to move forward and return to prominence, we must eliminate performance-enhancing drugs. The mainstream media frequently paints horse racing as a drug-riddled sport while the general public views our sport with the same negativity as other sports that have suffered through performance-enhancing drug scandals. It is up to our industry to change this perception by taking an aggressive approach to cleaning up our sport. The first step towards doing this is eliminating all race day medication and considering the support of federal legislation to create a more uniform set of medication rules and strict penalties for violators. “Finally we have an organization that can improve our business and sport. God created a wonderful animal in the horse, that we have the pleasure to work with on a daily bases. In return it is our responsibility to care for these horses and to treat them with respect. Horse racing is a costly business and I understand that through very competitive competition revenue needs to be generated to sustain the cost involved. Performance enhancing drugs are not the means to improve one's chances of competitiveness. Performance drugs jeopardize the health of horses and human participants and the confidence of the betting public. In order for horse racing to thrive we need uniform rules/laws and uniform enforcement of these rules/laws in The United States. The Horseracing Integrity Act can give us that. 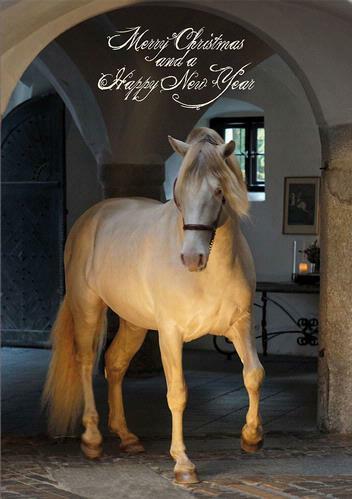 Julie is the President of the American Horse Council. She has over 30 years of leadership experience in both for-profit and non-profit sectors, Julie holds a BS, MBA, Executive Certificate in Non-Profit Leadership and is Certified Association Executive ® . 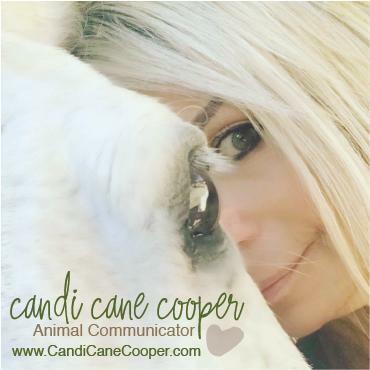 She’s a life-long horse enthusiast ranging from recreational rider, breeder, and show competitor. 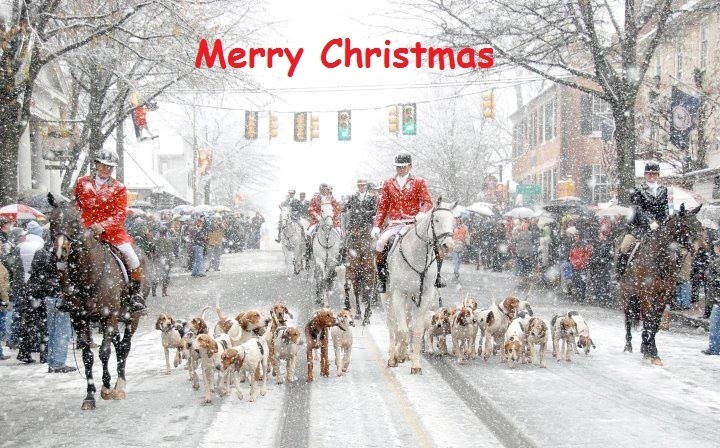 A native of NC, she and her husband now reside in DC along with their Pembroke Welsh Corgis and Morgan horses. WASHINGTON, DC – The Equine Welfare Data Collective (EWDC), a collaborative effort to accumulate, analyze, and report data to enhance programming for transitioning and at-risk equines, has begun the collection of metrics within the equine welfare industry. 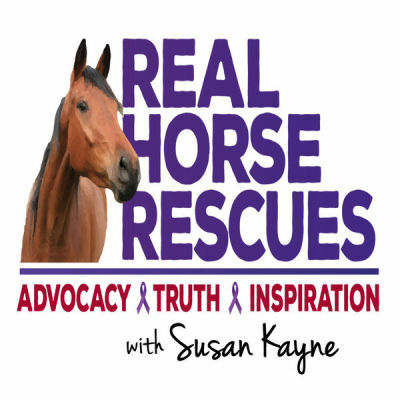 The Collective was created by the Unwanted Horse Coalition (UHC), a program of the American Horse Council (AHC), with funding partners being The Right Horse Initiative (TRH), The American Society for the Prevention of Cruelty to Animals (ASPCA), and the American Association of Equine Practitioners Foundation (AAEPF). “Solid data is critical to measuring the impact of any large-scale effort,” said Christy Counts, President of The Right Horse Initiative. “As our partners continue to create innovative solutions in equine welfare, we look forward to being able to measure the positive impacts on horses in transition as well as guide future decision-making and strategy.” This is the first time data of this scale and type has been collected. The STA accredits programs serving Standardbreds seeking placement outside traditional commercial uses and also serve as a conduit for partial funding to those groups. The group has filed articles of incorporation and is registered as a charity with the state of Ohio; documents have also been submitted to the Internal Revenue Service (IRS) to file as a 501(c)(3)charitable entity. Goshen, NY — David Reid, who heads up Preferred Equine Sales Agency, was elected president of the Standardbred Transition Alliance at the first meeting of that group, held Tuesday (Nov. 27) at the Harness Racing Museum and Hall of Fame in Goshen, N.Y.
Reid, though his work with Preferred, has sold tens of thousands of Standardbreds at public and private auction, both as a consignment agency and sales manager of Tattersalls and Lexington Selected Yearling Sales Company in Lexington, Ky. and at The Meadowlands. He also breeds and races Standardbreds. 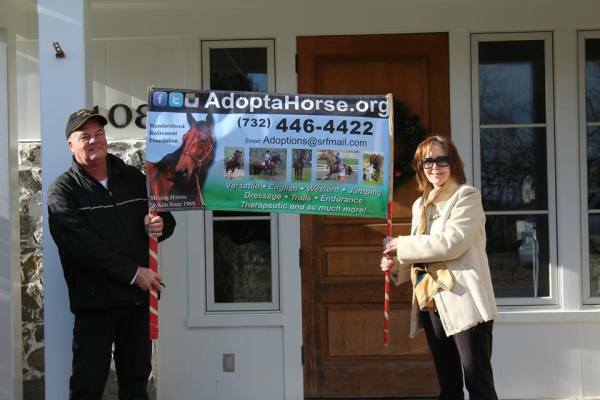 Committees were formed to advance fundraising for and accreditation of groups helping horses in transition from traditional uses. 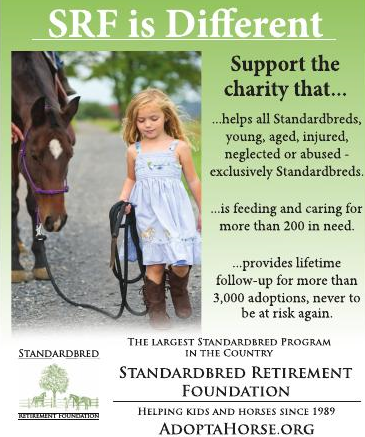 The STA will provide grants to cover partial funding of 501(c)(3) groups serving Standardbreds and ensure they utilize best practices for equine care and financial management through an accreditation process. 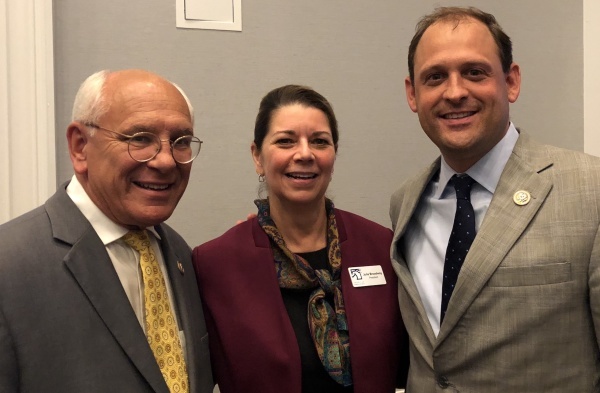 The STA will adapt the established model used to accredit and partially fund 70 groups serving Thoroughbreds, the Thoroughbred Aftercare Alliance. The STA is a self-standing organization that has applied for 501(C)(3) status and is a registered charity with the Ohio Secretary of State and Attorney General. Moira Fanning, chief operations officer at The Hambletonian Society, was elected vice president, Mitchel Skolnick of Bluestone Farm will serve as treasurer and Elizabeth Caldwell of Cane Run Farm will be secretary. The board members are Rick Moore of Hoosier Park, Kelly Young of the New York Sire Stakes, Kevin Greenfield of the Ohio Harness Horsemen’s Association and Hickory Lane Farm, Michelle Crawford of Crawford Farm, Dr. Bridgette Jablonsky of Hanover Shoe Farm, Bill Abdelnour of the New England Amateur Harness Drivers Club, Dr. Donna Franchetti, Standardbred owner and veterinarian, and Dr. Patty Hogan of Hogan Equine Clinic. We asked our members, readers, fans and members of the HRH for their ideas on what needs to be done to save the sport of harness racing and the following is some of their thoughts unsensored. There are too many favorites and short payoffs. There are a few reasons for this but the main reason is the inside speed bias. The main reason for the speed bias is the speed favoring modern sulkies and the distance between the horses due to the longer sulkies, and the drivers leaning back. The bettors don't bet the outside posts and all the money pours in on front runners from inside posts, who have a marked advantage due to the speed bike bias. I also don't think the conditions work at most harness tracks, there are too many horses that take huge drops in class. Horses should never be allowed to drop more than one level in a conditioned race.